Teeth whitening continues to top the charts as the most sought-after service in cosmetic dentistry. This is likely explained by its ability to provide dramatic improvements in your smile with minimal time and cost. Montevallo Family Dentistry is proud to offer one of the most proven professional teeth whitening systems available, which includes in-office and take-home whitening options. Using professional whitening, patients are assured more effective results with the highest safety ratings. In contrast to over-the-counter products, your whitening procedure will be overseen by a dentist who is committed to protecting your oral health as well as helping you attain the most dramatic results. If your teeth have become dingy or stained over time, you are not alone. There are many factors that contribute to discolored teeth, including dark-colored foods and drinks, smoking or tobacco use, as well as the natural aging process. At Montevallo Family Dentistry, Dr. Shunnarah will evaluate your specific teeth stains and give you an idea of what to expect with our professional whitening products. In many cases, patients can lighten their smile by several shades! 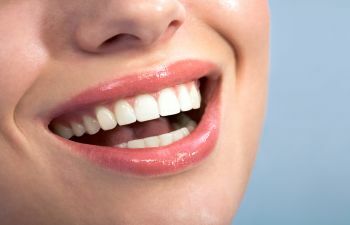 Professional teeth whitening is an ideal way to help you boost your self-confidence as well as regain your youth. It is often chosen as a quick smile enhancement before a big event. In just one painless hour, you can achieve a whiter and brighter smile using our in-office Opalescence Boost Professional Teeth Whitening. Opalescence Boost is a safe and highly effective system that uses chemical activation instead of heat. This means that you won’t have to sit under an uncomfortable light like other in-office whitening methods. Opalescence Boost can also protect your dental health. You won’t have to endure irritated gums or sensitive teeth to get a more brilliant smile. Opalescence Boost whitening gel contains PF (potassium nitrate and fluoride), which can help protect your tooth enamel during the process. For patients who prefer to whiten their teeth in the comfort of their home, we can provide a take-home supply of Opalescence whitening gel along with custom made trays for your convenience. Regardless of which whitening option you choose, you can trust that Dr. Shunnarah will monitor your comfort and results throughout the process. We recommend that patients are up to date on their routine dental cleanings before scheduling a professional tooth whitening session. Ready to have a whiter smile without the wait? Choose Opalescence Boost Teeth Whitening from Montevallo Family Dentistry today. We love giving patients such an easy way to smile brighter! Contact us today to schedule an appointment for you or a member of your family.